Pop​ ​up​ ​Choir​ ​a​ ​gospel​ ​group​ ​from​ ​Leeds​ ​catering​ ​for​ ​special​ ​occasions​ ​has​ ​set​ ​it​ ​sights​ ​on taking​ ​gospel​ ​music​ ​beyond​ ​the​ ​walls​ ​of​ ​the​ ​church​ ​and​ ​giving​ ​young​ ​people​ ​a​ ​chance​ ​to improve​ ​their​ ​skills,​ ​expand​ ​their​ ​network​ ​and​ ​get​ ​paid​ ​to​ ​do​ ​what​ ​they​ ​love. 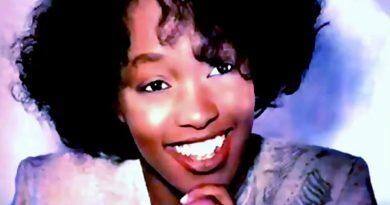 Founder​ ​Malisa​ ​Grace​ ​who​ ​grew​ ​up​ ​singing​ ​in​ ​the​ ​choir​ ​says​ ​‘​ ​I’ve​ ​always​ ​loved​ ​gospel​ ​music and​ ​in​ ​particular​ ​the​ ​effect​ ​it​ ​has​ ​on​ ​people​ ​who​ ​listen,​ ​what​ ​started​ ​as​ ​a​ ​hobby​ ​has​ ​turned​ ​into​ ​a real​ ​movement​ ​to​ ​leave​ ​people​ ​with​ ​something​ ​special​ ​and​ ​memorable.​ ​​ ​Clinical​ ​studies​ ​have shown​ ​that​ ​performing​ ​in​ ​a​ ​choir​ ​has​ ​many​ ​benefits​ ​for​ ​health​ ​and​ ​wellbeing.​ ​The​ ​best​ ​thing about​ ​the​ ​choir​ ​is​ ​the​ ​positive​ ​impact​ ​it​ ​has​ ​on​ ​young​ ​singers​ ​and​ ​musicians​ ​who​ ​get​ ​a​ ​chance to​ ​perform​ ​at​ ​various​ ​events​ ​around​ ​the​ ​country​ ​and​ ​motivate​ ​each​ ​other​ ​to​ ​develop​ ​their talents.​ ​We’re​ ​in​ ​the​ ​process​ ​of​ ​working​ ​with​ ​youth​ ​and​ ​community​ ​engagement​ ​organisations​ ​in the​ ​region​ ​to​ ​get​ ​more​ ​people​ ​involved​ ​in​ ​doing​ ​something​ ​positive. 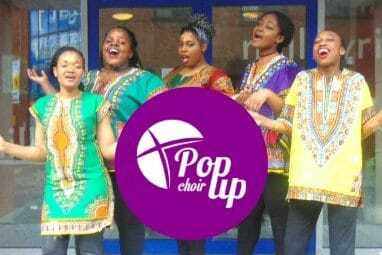 Pop​ ​up​ ​Choir​ ​are​ ​accepting​ ​applicants​ ​now.​ ​You​ ​can​ ​join​ ​or​ ​learn​ ​more​ ​about​ ​Pop​ ​up​ ​Choir​ ​by visiting​ ​​www.popupchoir.co.uk​​ ​and​ ​following​ ​on​ ​twitter​ ​@popupchoir.